Hi there! Are you looking for the best scope for your rifle, aren’t you? If your answer is yes, then you made a gold right now! It is not a secret that choosing the right rifle scope can become and overwhelming and a time-wasting process. 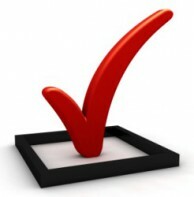 Our website was specially created to help you ease your choice and save time. You will be able to find lots of useful information and experts’ reviews here! We are working hard for you and your hunting success! In order to choose the best rifle scope first of all we should understand what a rifle scope really is and what structure it has. The main thing about a rifle scope you need to learn is that a scope is an optics product that will certainly help you improve your shooting results. In fact, a rifle scope works similar to a telescope. To be more exact, outer light passes through the objective lens and focuses on the focal point inside the scope. The ocular lens, in turn, magnifies gathered light from this point. To make a long story short, the image you see through the scope is that magnified light. Now, let us proceed to the next point. The most impo­rtant parts of the rifle scope include lenses, a reticle or a crosshair, a power ring and windage/elevation adjustable turrets. Regular rifle scopes has two lenses, which are an objective and an ocular one. The objective lens has a bigger size and is placed on the far end of the scope’s tube. Its purpose is to transmit light back to the ocular lens (the one closest to your eye). Most rifle scopes lenses are made fog- and waterproof, providing a customer with the ability to use the scope under any weather conditions. Reticle or a crosshair is the crossed lines in the middle of the rifle scope, which help you choose the right direction of the shot. A power ring is a feature of the scope, which mean it can magnify targets different number of times. Usually, this characteristic is marked like 3-9x, 4-16x etc. That means any object you view through the scope will appear 3 to 9 (4 to 16) times larger than if you looked at it with a naked eye. The last important part of the scope is adjustable controls, which allow you to adjust the scope properly. These controls are the windage adjustment and the elevation adjustment. The windage adjustment relates to the horizontal settings of the scope, the elevation knob changes the vertical ones. Light transmission is a determinant in choosing the best rifle scope. 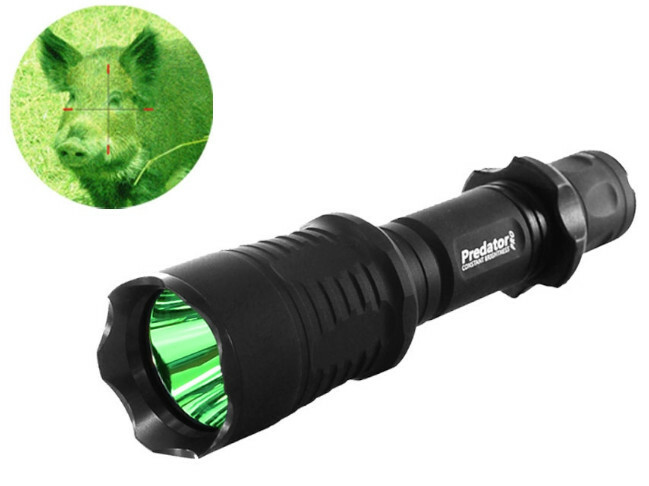 A scope with high light transmission will deliver good shooting results despite any weather or light conditions. By and large, nowadays most rifle scopes offer up to 95-98% light transmission. Lens coating – the rifle scope with coated lenses provides the most clear and accurate image of an object, allowing more light to pass to your eye. Coated lenses have a thin layer of synthetic material that has a glare-reducing effect. That means the lens reflects less light. Scope lenses can be coated, multi-coated, fully coated and fully multi-coated. The number of coatings on the lens stands for the quality of what you will see through it. Fully multi-coated lenses are believed to be the best ones . Reticle is another significant feature of the scope. 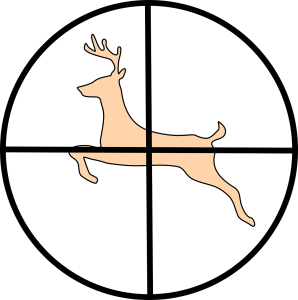 Today you can find a wide-range choice of rifle scope reticles. Some of them are duplex (good for camouflage operations), others – BDC (Bullet Drop Compensator) and TRM (Tactical Milling Reticle) onesor even in dot form like a Mil-dot reticle (the best for distant contact or sniper operations). Every type is acceptable and depends mainly on your preferences and the field of usage. Target turrets also deserve attention. They will provide you with the most precise adjustments for elevation and wind, which are extremely important in the process of shooting or hunting. Remember to keep in view the mounts or mounting rings (do not try to save on them) just because holding the scope on the rifle is a pretty important job. The is lots of different rifle scopes represented nowadays in the optics market, so it is not easy to decide which one to choose. The type of scope you need depends on the kind of target you plan to shoot and some other reasons. For example, if you plan to hit a big game at a distance about 100 yards or less, you will not need a high-power rifle scope, 7-8x magnification range is enough. 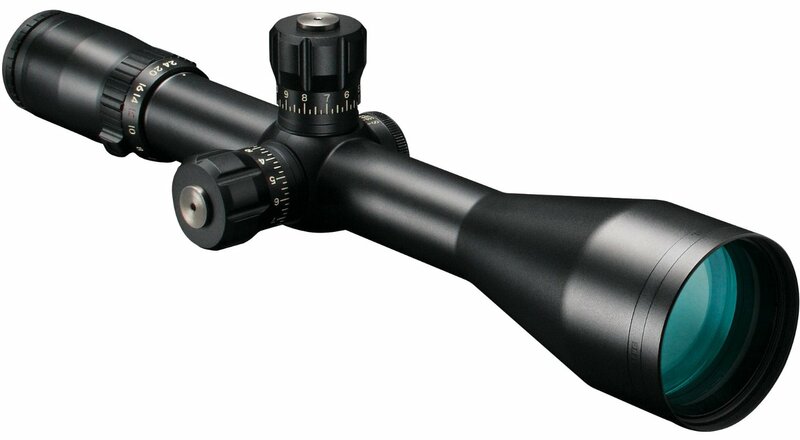 If you are going for a long-range hunting, you should choose a scope with the 12x or more magnification range. Compact rifle scope which is just a smaller lightweight copy of an ordinary scope. Such rifle scopes offer all the qualities and significant features found in its bigger brothers, but with an emphasis on compactness and lightweight design. Compact rscopes found its use for a number of different situations that imply shooting, for example, hunting, military and police operations, shooting competitions. The most popular model here is UTG 30mm SWAT 3-12X44 AO Mil-dot, 36 Colors EZ-TAP Compact Rifle Scope. 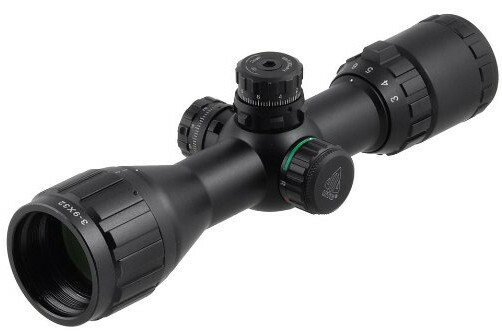 It was designed for different kinds of shooting, such as a big game hunting, shooting game, tactical and predator hunting.The scope stands on the bases of a brand-new True Strength (TS) platform, including a Smart Spherical Structure (SSS), which guarantees accurate windage/elevation adjustment and a lifetime durability.The UTG scope features top-quality lockable and resettable turrets allowing you to make the most precise adjustments and hold the proper zero even in case of the heavy recoil.Moreover, it has a unique built-in Illumination Enhancing (IE) technology, providing traditional red/green dot color and a 36-color personalized mode, which allows you to stand any environmental or weather conditions. Click here to see the full review of the best compact rifle scopes! Long-range rifle scopes were developed to make hunting at big distances far more easier. 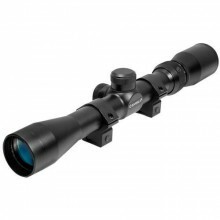 Advantages of such scopes lie in wide magnification range and optics of an extreme quality. The scope, which deserves special attention within this group, is Bushnell Elite Tactical G2 3.5-21×50 FFP Reticle Rifle scope. It really has a stunning range of magnification (up to 21 level). Moreover, its main advantages include a Rainguard HD technology providing an edge-to-edge sharpness in any weather conditions and Ultra Wide Band Lens Coating for precise clarity regardless either dawn or dusk. Check more long-range rifle scopes reviews here! Sniper rifle scopes gained its popularity due to their extreme accuracy and reliability. Such scopes enable you to reach any target even at the distance over 1000 yards, which was previously accessible only for professional military snipers. The only thing you need to do is to choose the right rifle scope. The scope worth noticing here is a NightForce NXS 5.5-22x56mm 250 MOA, ZeroStop, MOAR Reticle Rifle scope. It was specially designed by the Nightforce company for the extreme long-range shooting and accurate targeting even in the case of unfavorable conditions. Its main advantages include fast aiming, a large field of view, a good eye relief and an adaptable range of magnification (5.5-22x variable zooming). 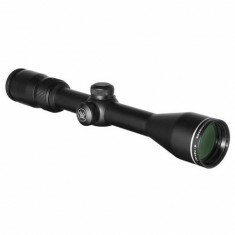 Rifle scope with a laser rangefinder is another innovative and popular type of the scopes. Its significant feature consists in capability to measure the distance between a hunter and a desirable target (either estimate or calculate digitally). Bushnell 4-12×42 Laser Rangefinder Mil-Dot Reticle Rifle scope is considered number one among the line of scopes with a laser rangefinder. This scope includes Yardage Pro rangefinder accompanied with a bullet-drop compensator and a highly qualified optics, which guarantees an amazing HD clarity and precision. The Diamondback rifle scopes line manufactured by the Vortex has become widely popular. The scopes of the line completely changed the rules of old saying “you get what you pay for”. Characteristics of such rifle scopes are highly adorable still locating at the level of inexpensive rifle scopes under 200$. One of the best Diamondback rifle scope versions is, without doubt, the Vortex Diamondback 4-12×40. 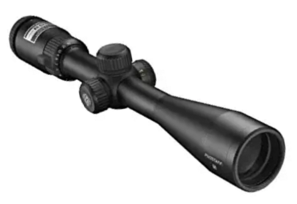 It has a variety of technical features that prove it to be one of the most reliable rifle scopes. Its main features include 4-12x variable magnification, Dead-Hold BDC reticle, Zero reset accuracy, audible fingertip windage&elevation adjustments and XR fully multi-coated optics. Check out the detailed review in our article! 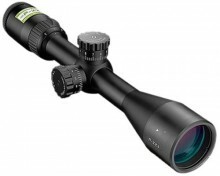 Reasonable price making the scope one of the best in its price range. Read our expert’s Top 5 Nikon rifle scopes review right now! Latest Barska rifle scopes review is already available! After all, you have already learnt lots of information and features you should follow to find the right rifle scope that will meet all your needs. In a few words, the choice of the scope depends on the rifle you use, the type of your shooting (for example, short- or long-range hunting), some personal preferences like the kind of reticle or the color of the scope. Keep on staying with us and you will find your dreamed rifle scope for sure! Click here to learn the most popular rifle scope brands!